Politically, Iowa remains one of our most interesting states. 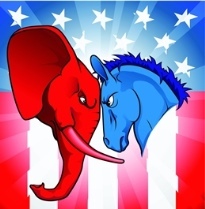 Obviously, its early caucus status lends itself as a power player in presidential politics. But its makeup is also rather vexing and seemingly unpredictable at times, featuring successes for both Republicans and Democrats — and the longevity of its Senators Chuck Grassley (R) and Tom Harkin (D), who’ve been in office since 1981 and 1985, respectively. With Harkin retiring, there’s a heated race for his vacated seat featuring Rep. Bruce Braley (D) and State Senator Joni Ernst (R). (I actually interacted often with Braley’s staff during his 2006 campaign, while I was working on a State House race in Waterloo for U.S. Sen. Evan Bayh’s All-America PAC.) Braley, however, has found himself trudging through difficult terrain in light of some unfortunate and dismissive agriculture-related gaffes — the latest in a stump speech by a surrogate. Columnist Kathie Obradovich of The Des Moines Register highlighted Braley’s problems, illustrating how some unfortunate word choices here and there can quickly change the nature of a political campaign. I shouldn’t have been surprised when I started squirming in my seat during the movie Anchorman 2: The Legend Continues. It wasn’t just for the reasons I was expecting – not the over-acting of Will Ferrell or the ridiculous raunchy lines coming out of Paul Rudd’s mouth. Then there was the scene when Burgundy decided to be the first show to broadcast a local car chase live, in an effort to take away attention from an important and much more relevant interview on a competing channel. That is broadcast journalism at its most sensational and lowest point. You guessed it – their plan worked. The show became the most popular on the network, and changed the face of America’s broadcast news landscape. Yes, I know, it’s a movie. But, if it wasn’t a great personification of how actual cable “news” shows impact American opinion, I don’t know a better way to explain it. Maybe a 2012 survey from Farleigh Dickinson University in New Jersey will help. “What you know depends on what you watch: Current events knowledge across popular news sources” was a follow-up survey from the university’s 2011 PublicMind™ poll and showed that National Public Radio (NPR), Sunday morning political talk shows and even The Daily Show with Jon Stewart were more informative news sources than partisan outlets, such as Fox News, CNN and MSNBC. In fact, out of 1,185 people surveyed nationwide, those who identified as having watched only one of those political news sources was less likely to correctly answer a series of national and international current events questions than someone who identified as having watched no news at all. The average person could answer 1.8 out of four questions correctly on international news, and 1.6 out of five questions on domestic matters. 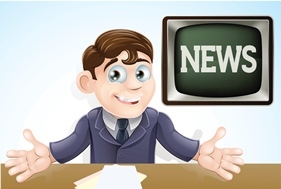 The results showed that people who didn’t watch any news at all could, on average, correctly answer 1.22 of the questions about domestic politics, either by guessing or from their existing knowledge. Here’s the real kicker – someone who only watched Fox News (on average) could only answer 1.04 national questions correctly. NPR consumers got 1.51 questions correct and Daily Show viewers got 1.42 questions correct. The findings were similar for international questions. Additionally, the survey noted the impact of the “ideologically-based” sources on the audience that consumed the information. Liberals, for example, did better on the questions when gleaning information from MSNBC; same with conservatives with Fox News. But, moderates and liberals who watch Fox News were worse at answering the questions. Dan Cassino, political scientist and poll analyst, was quoted in the survey about the impact of the partisan sources on news knowledge. “Ideological news sources, like Fox and MSNBC, are really just talking to one audience. This is solid evidence that if you’re not in that audience, you’re not going to get anything out of watching them,” he said in the survey. The answer to the query in the headline is “not much,” but that is considered a vast improvement over recent years. Here is the analysis from Bo Harmon, vice president of political affairs for BIPAC. There are a number of legislative items that members of both parties acknowledge need to be addressed. Implementation of Obamacare. Immigration reform. Tax code and entitlement reform. A long term solution to the debt ceiling crisis. Privacy security. Patent reform. Trade. The reason that Congress hasn’t accomplished much since 2010 is the same reason we don’t expect to see much more in 2014. With the House in the hands of Republicans and the Senate and White House controlled by Democrats, and each side increasingly responsive to the most ideological polarizing parts of their base, they disagree on how to proceed. Both sides understand the things that need to be addressed, but there is zero consensus on how to do it. The Obamacare debate is a prime example. Not a single Republican in either chamber voted for original passage though many key features of the legislation were included in previous GOP health care reform bills. Once Republicans took the House in 2010, GOP leadership took the position that repeal of the legislation in total was the only option and have refused to offer or support tweaks or fixes to problems. The Republicans believe “it’s not possible to ‘fix’ something fundamentally incompatible with our ideology.” Politically, they also believe if the legislation fails they will benefit and thus have little political incentive to improve the law. From their perspective, it is BETTER politically to have as many things go wrong with ObamaCare as possible. This same standoff occurs on issue after issue – taxes, immigration, entitlement reform, etc. But, it is a new year and in our optimistic resolutions, we see some possibility of federal action on a handful of bills. There was a small bright spot in December when a two-year budget compromise passed that would avoid the possibility of a shutdown and eliminated some of the most irrational sequester cuts. This rare bipartisan effort was criticized by many however as small ball for not addressing bigger, long term issues. Even still, it was the best that could be achieved in the current gridlock environment. The environment is also different than it was in 2013. At that time, Democrats were emboldened by the President’s popularity and felt little need to compromise, believing they had received a mandate from the 2012 elections to do as they wanted. With the President’s approval ratings significantly lower now, the confidence to act as boldly is similarly evaporating. Conversely, Republicans spent 2013 in fear of retribution from the Tea Party. Now, Boehner in the House and McConnell in the Senate have openly broken ranks with the Tea Party and seem almost eager to act in ways that show consensus. 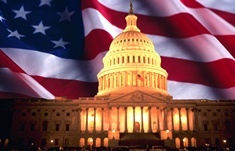 The budget deal and the changed political environment provide the foundation for some compromise legislation to take place on issues that need to be addressed. Small, incremental changes to a handful of issues is possible, likely driven by the middle. We may see some movement on immigration, trade, patent reform, etc; even if more contentious things like tax reform remain unlikely. While many would like to see more comprehensive solutions and small, incremental changes to immigration or Obamacare implementation may not be at the top of your industry agenda, we are dealing with a situation where NOTHING has been getting done and we need to make an effort to support and reward even baby steps at basic government functionality. Only then will members of Congress have the political courage to attempt larger, more comprehensive changes and take a look at issues that are at the forefront of your industry agenda. It is a shame that we have reached this point where expectations for our Congressional “leaders” is so low but they have demonstrated over the last three years that nothing else can be expected from divided government driven by ideological extremes. It’s way too early for this, but I can’t help myself. Hillary Clinton and Chris Christie appear to be favorites as nominees for the 2016 election, and NBC News reports on a recent poll showing Clinton had the edge thus far. She also appears to benefit from more cohesive support from her party than Christie, as Tea Partiers don’t seem to be enthusiastic about the Springsteen-loving East Coaster. Christie’s challenges extend beyond his own party: The poll finds Clinton getting the support of 44 percent of all adults in a hypothetical match up against the New Jersey governor, who gets 34 percent. The rest of respondents either preferred another candidate, said they would not vote, or were undecided. And while Election Day 2016 is still more than 1,000 days away, the survey shows Clinton benefiting from the same demographic trends that helped propel President Barack Obama to win the election in 2008 and re-election in 2012. Clinton leads Christie among African Americans (83 percent to 4 percent), respondents ages 18 to 29 (45 percent to 31 percent) and Latinos (44 percent to 33 percent). Clinton also holds the advantage with residents from the Northeast (52 percent to 35 percent), West (43 percent to 30 percent), the South (43 percent to 35 percent) and Midwest (41 percent to 37 percent). And she has a narrow edge among independents (39 percent to 35 percent). Christie, meanwhile, leads among whites (41 percent to 37 percent), seniors (44 percent to 41 percent) and respondents with an annual income of $75,000 or more (46 percent to 34 percent). 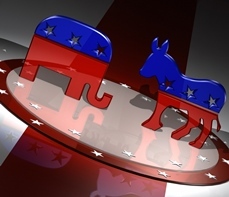 For politicos, Indiana's 2012 U.S. Senate primary and election had it all: Drama. Faction rivalries. Gaffes. But if it was up to some legislators, the ultimate victor would not be left up to the general voting public. The resolution calls on Congress to begin the process of repealing the 17th Amendment, passed in 1913, which provided for the direct election of senators. State Rep. Kevin Cooke (R-Carrollton), the main sponsor of the resolution, told the Douglas County Sentinel that moving the power back to state legislatures would allow for the original intent of the Constitution. In the text of the resolution, Cooke cites Madison's writing in the Federalist Papers, specifying that members of the Senate would be "elected absolutely and exclusively by state legislatures." The resolution says the 17th Amendment has prevented state governments from having a say in federal government and that repealing the amendment would hold U.S. senators accountable to the states. The federal government has grown in "size and scope," it says, in the century since the amendment was adopted. The 17th Amendment was adopted out of concern for state-level corruption influencing Senate elections, which Cooke said would not be the case now. Some social media platforms may come and go in popularity, but the overall impact is only going to continue to grow. 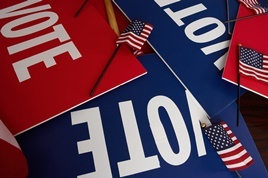 Assessing that impact in the 2012 presidential election is an Indiana Chamber partner in BIPAC (Business Industry Political Action Committee), focused on electing pro-economy, pro-jobs members of Congres. Romney may have captured voters over 30, but he still lost. Obama on the other hand captured the women's vote, minority vote and youth vote, giving him the edge he needed to win. Digital and social media is where he found these votes and it's what set him apart from Romney. It is where he fundraised more than 700 million dollars and activated mobs of volunteers. He was able to reach more than 5 million youth votes via Facebook. Michelle Obama connected with women on Pinterest and the Obama campaign reached scores of Hispanic voters through mobile. With 31 million election tweets being sent on Election Day, this cycle was not only deemed "The Twitter Election," but it is being characterized as the first full digital election. Social media is a fundamental change in how our society communicates and for those with hopes of reaching voters, employees, Members of Congress and other stakeholders, your efforts need to be online as well as offline.